St. Olavsleden is a pilgrimage route from the Middle Ages – from the Swedish east coast to the Norwegian city of Trondheim – which has recently been reopened. More information can be found on the page “About St. Olavleden” and on the official website of the route, www.stolavsleden.com. Can you also travel from Oslo? 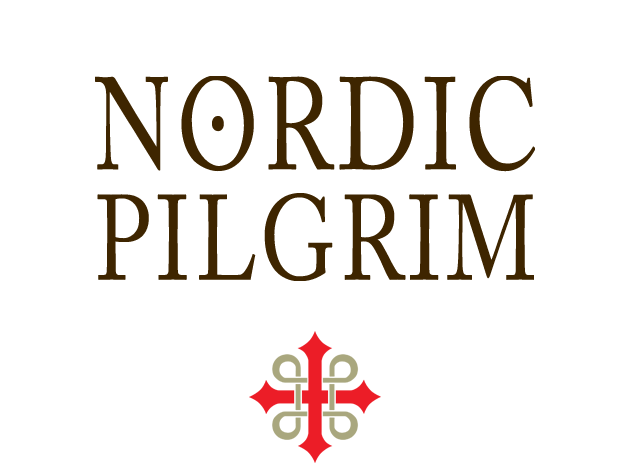 There is a whole network of pilgrim routes going to Trondheim. Nordic Pilgrim only helps planning your journey along the route from Sundsvall to Trondheim. For more info about other routes: pilegrimsleden.no/en. How long is St. Olavleden? After measurements with GPS equipment, it seems that the route is 580 kilometres. However, some hostels and sights do not directly lie along the road, so chances are that you will have walked more than 580 kilometres after doing the complete St. Olavsleden. What is the coastal route? After Munkeby in Norway there are two options to reach Trondheim: the usual route and the coastal route. The last stage of the coastal route is by boat – and because this boat leaves just a couple of times per week during summer, good planning is required. The coastal route is a bit shorter, but the accommodation is more expensive than the regular route. At the moment there is no news about the boat and if it will function in 2019. Contact us for the latest info. Is walking St. Olavsleden difficult? On St. Olavsleden you walk on paved and unpaved roads and forest trails. Some stages are more difficult than others: some days you walk uphill for quite some time. But overall the pilgrim’s route is doable. Good equipment and planning are required. It can be pretty tough to walk the complete route though – you should be in good physical shape! And mental: you will not meet many other hikers and the route crosses sparsely populated areas, so you will be on your own long stretches of time. When is the best time to walk St. Olavsleden? St. Olavsleden is accessible from May to late September. During other periods the risk of snow in the mountains is considerable. It is possible to walk the lower parts of the route offseason. Would you like to know which parts are currently accessible? Please contact us. Can I walk St. Olavsleden individually? No need for assistance? Do you want to plan everything yourself? That is possible. There are some great guide books out there and there is information to be found on www.stolavsleden.com. But if you need help with planning or booking, please contact us. Can you cycle St. Olavsleden? Yes! And we can also help you with that. On www.stolavsleden.com are maps available for both cyclists as people who would like to do St. Olavsleden on horseback. Yes, you can also experience St. Olavsleden on horseback – or with horse and carriage! The whole route or just a short trip: everything is possible. Please contact us for more info. What kind of accommodation is there along St. Olavleden? The accommodation along the route varies from simple huts to pilgrim cabins and small hostels and hotels. Nordic Pilgrim chooses all accommodation with care. However, the standard varies per accommodation – this is because there is not yet much available, as the route is relatively new. What should I take with me on my trip? Sleeping bag and/or bed linen, thermos/water bottle, backpack, rain gear, (warm) clothing and equipment, good walking shoes (preferably waterproof), first aid supplies and blister plasters; passport. Trekking poles can be a great tool. Also make sure you are insured. Nordic Pilgrim is run by Ruben Heijloo. Ruben lived in Sweden from 2011 to 2018 and is involved in the development of St. Olavsleden. In 2013 he walked and cycled the route himself. Videos of his trip can be found on the official website and YouTube channel of St. Olavsleden. Ruben is being assisted by Jack Shepherd, who lives and works in Östersund. Jack fixes transport and helps pilgrims who need assistance.